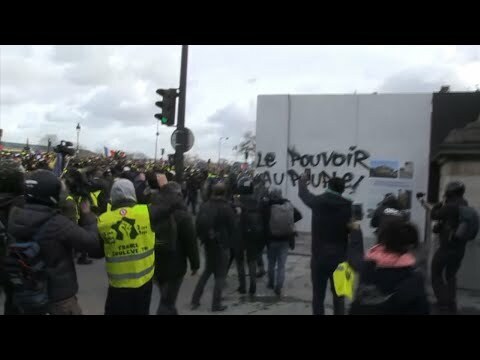 PARIS (AP) — A French yellow vest protester’s hand was ripped apart Saturday during violent clashes in Paris as demonstrators tried to storm the French National Assembly in a 13th consecutive week of unrest. “Every day the military ... protects our compatriots from the risk of terrorism. These attacks are intolerable,” Castaner said.